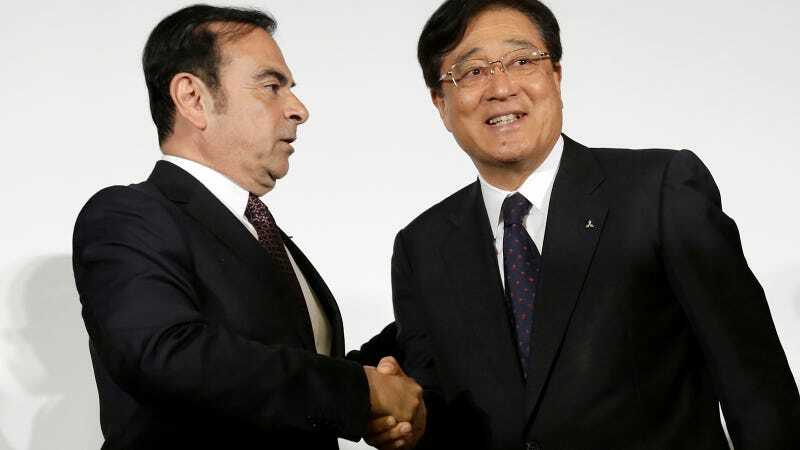 Ghosn, left, and Mitsubishi Motors Corp. Chairman and CEO Osamu Masuko, right, when they made their 2016 deal. AP Photo. The fall of Ghosn continues today as the board of Mitsubishi Motors just gave the former Renault/Nissan boss the boot, as the New York Times reports. Ghosn had been the chairman of Mitsubishi since October of 2016. He was credited with helping to stabilise the company after it was rocked by a scandal in 2016 involving over-stating fuel efficiency of some Mitsubishi cars. All I know is that at no point during his tenure did Ghosn bring back the Galant VR-4 or the Pajero Evo. Though Mitsubishi didn’t do that before Ghosn, either. There may be no heroes here. All This Over A Measly $90 Million?